Glass CMD is a free portable tool created by komalo at deviantART that provides a fully glassed command prompt in Windows 7/Vista. Just run the tool and when it's running, run command prompt. 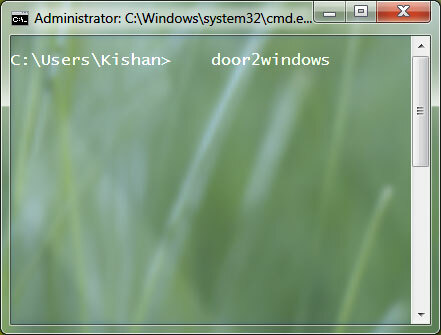 The command prompt will be fully glassed but if you close the program then you will lose the glass effect. You can add it in your Startup folder so that it runs automatically with Windows.